If you saw it before come see it again! Freshly painted and greatly improved! Bright and neutral throughout! 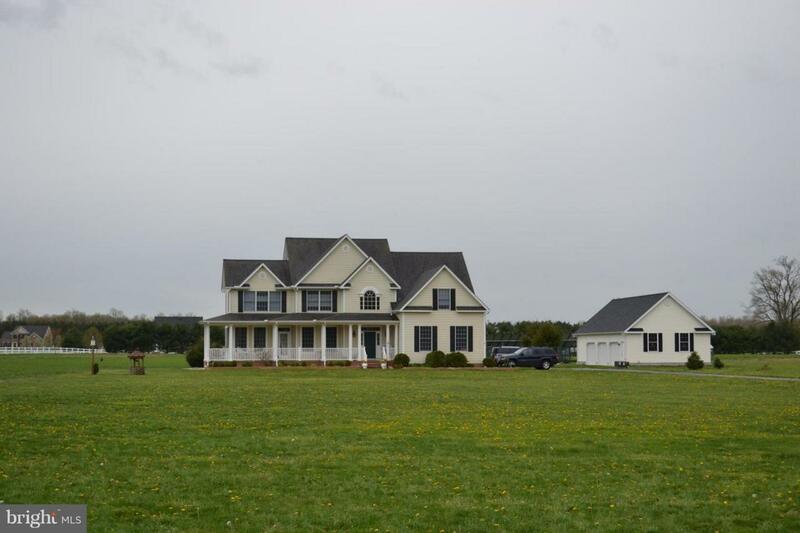 Big, beautiful colonial on 7 private, park like acres!Large eat-in kitchen, master bedroom with sitting room, walk-in closet & superbath, gorgeous 2 story foyer, hardwoods in foyer & dining room, tile in sunroom, kitchen & baths. Lovely, bright sunroom. Outside is a partially fenced back yard, amazing detached 3 car garage + attached 2 car garage. Hardie Board siding! Has just been professionally painted throughout! Seller has found home of choice.